Summer is here, celebrate with these delicious Surfin' Gummy Bear Banana Pudding Cups!!! 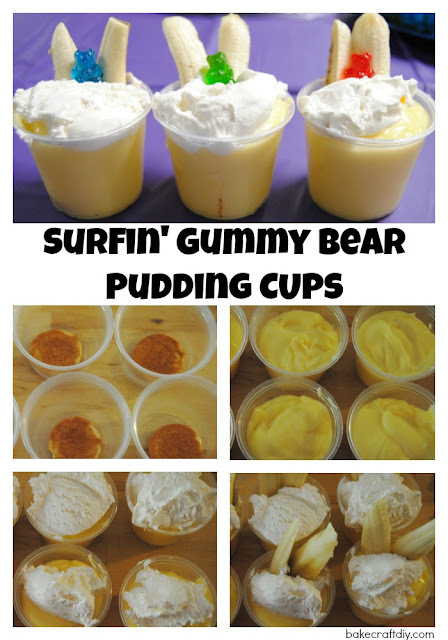 They are super easy to make and were a big hit at the BBQ we brought them to at church! 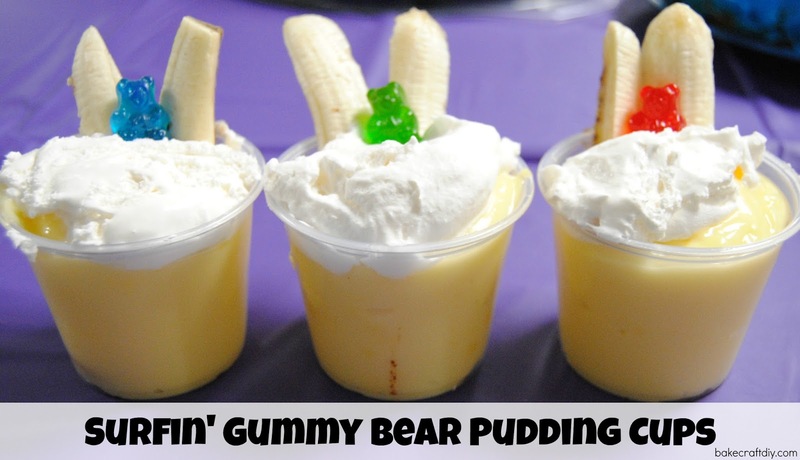 Banana Pudding Mix (1 box yields completed cups), milk. 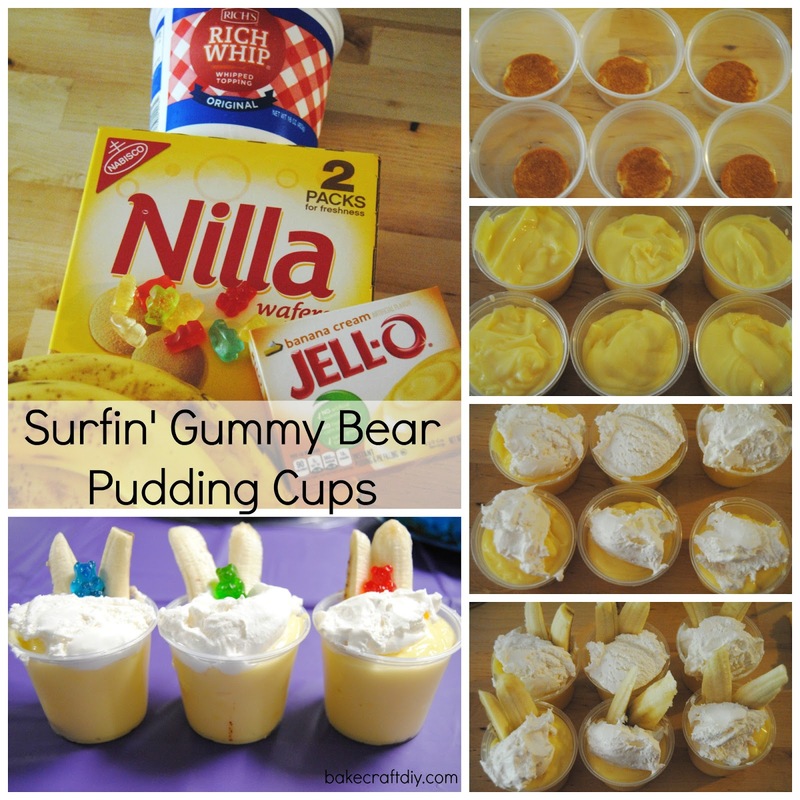 whipped cream or cool whip, bananas (3 for 6 completed cups), gummy bears, clear cups (I picked mine up at Smart and Final - a warehouse food and supply store), Nilla Wafers. Follow the directions on the box to make the pudding (one box pudding 3 cups milk) and make the pudding. 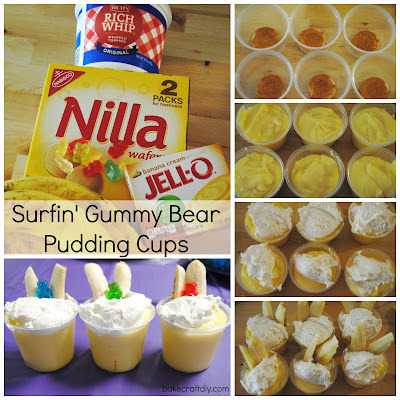 Add pudding to each cup almost to the top, add a scoop or two of whipped cream to the top, push bananas into the pudding, (optional) add crushed Nilla Wafers to the top of the whipped cream as sand, add a gummy bear or two on the top as your surfers.